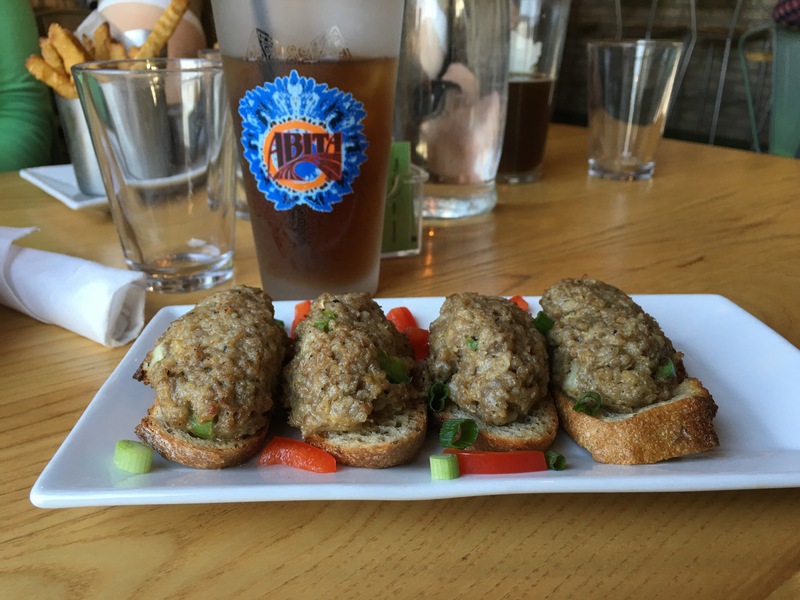 The Gruff in Covington – Go There. Try That. After taking a couple weeks off, I am excited to be back sharing some of my favorite finds! 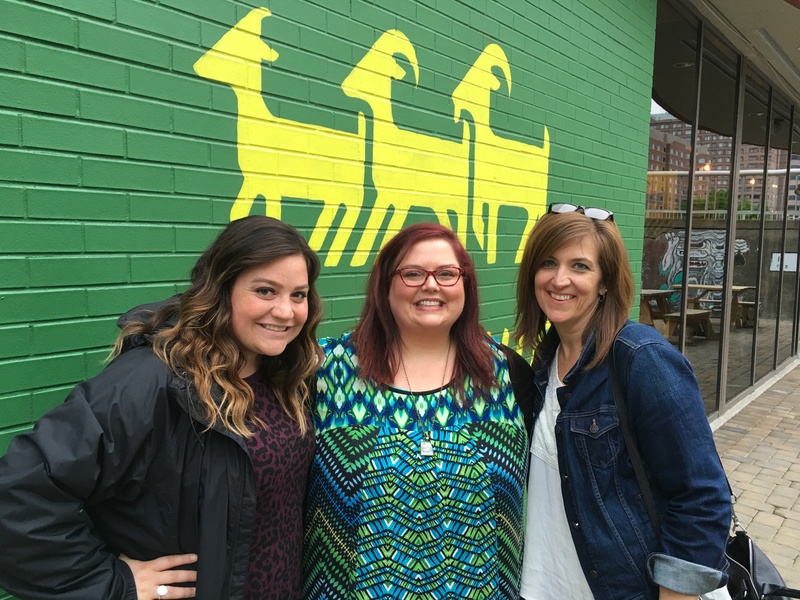 Speaking of favorite finds, have you been to The Gruff? 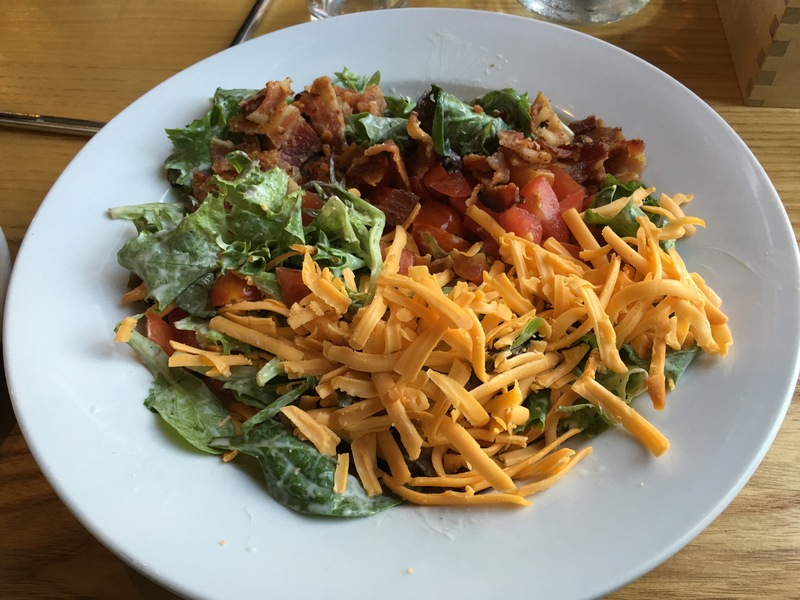 Sitting at the foot of the Roebling Bridge, The Gruff is cleverly named after the fairy tale “Three Billy Goats Gruff” in which three billy goats try to get from one side of the river to the other to eat some deliciously green grass! 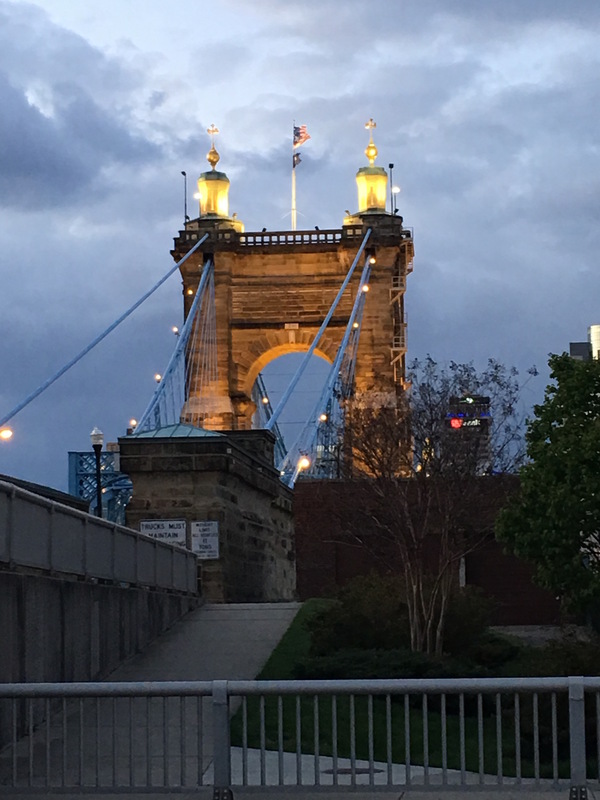 As an Ohioan, I am more than willing to journey across the bridge from Cincinnati to Covington for my dinner; if I have to take down a few trolls on the way, so be it! I ended up at The Gruff, the first time, after a church service when indecision regarding where to eat led my friend Kenny to cast lots. Not even kidding. Clearly, The Gruff was ordained. Because sometimes the grass is greener on the other side. 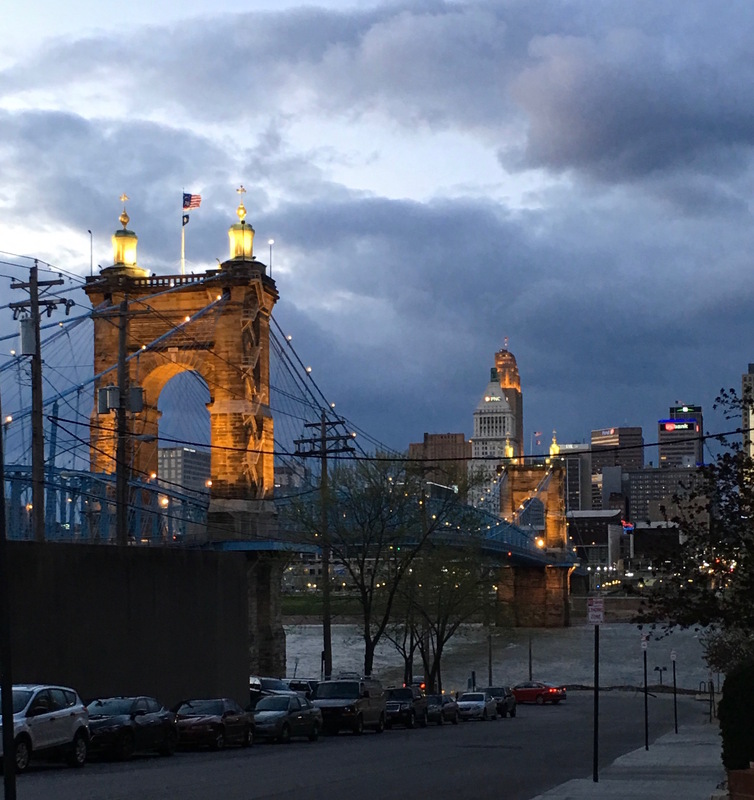 View from the patio- the Roebling Bridge. Part deli, part pizzeria, part sandwich shop, The Gruff dishes up a little bit of everything. Their menu consists of starters, cold sandwiches, hot sandwiches, create-your-own pizzas, salads, and more. Typically, when a menu covers such a variety of items, I get nervous about the quality and consistency of the food; however, The Gruff does not disappoint. 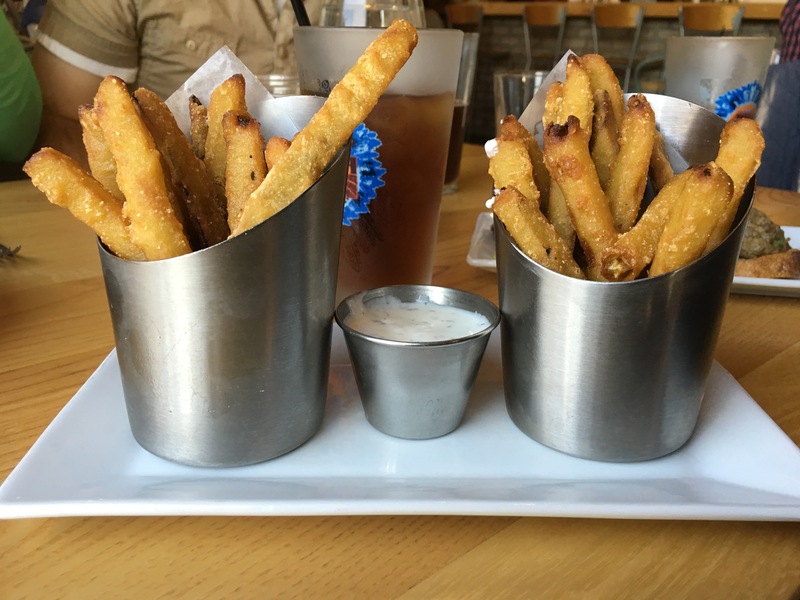 Whatever you do, don’t miss out on the appetizers. I’ve sampled the Gourmet Deviled Eggs (two traditional, two chicken salad, and two olive relish), the Pickle Fries (served with a fresh yogurt dill sauce which is reminiscent of tzatziki), and the Hanky Pankys (sausage made in-house). 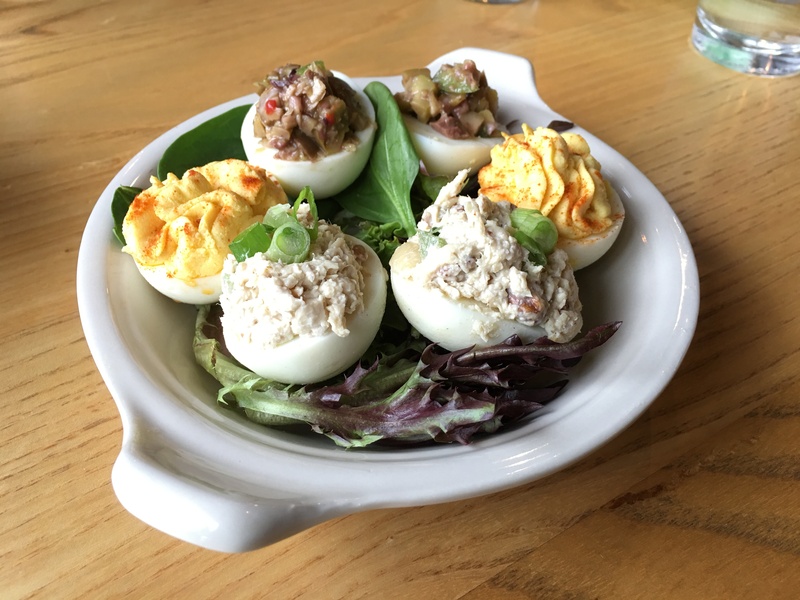 The Deviled Eggs are delish and great for sharing, the Pickle Fries are well-seasoned and perfectly crunchy, and the Hanky Pankys…well…let me do my Hanky Panky Happy Dance because who has Hanky Pankys on their menu?!?!? Might sound weird, might not look pretty, but The Gruff takes this potluck staple and steps it up in all the right ways. 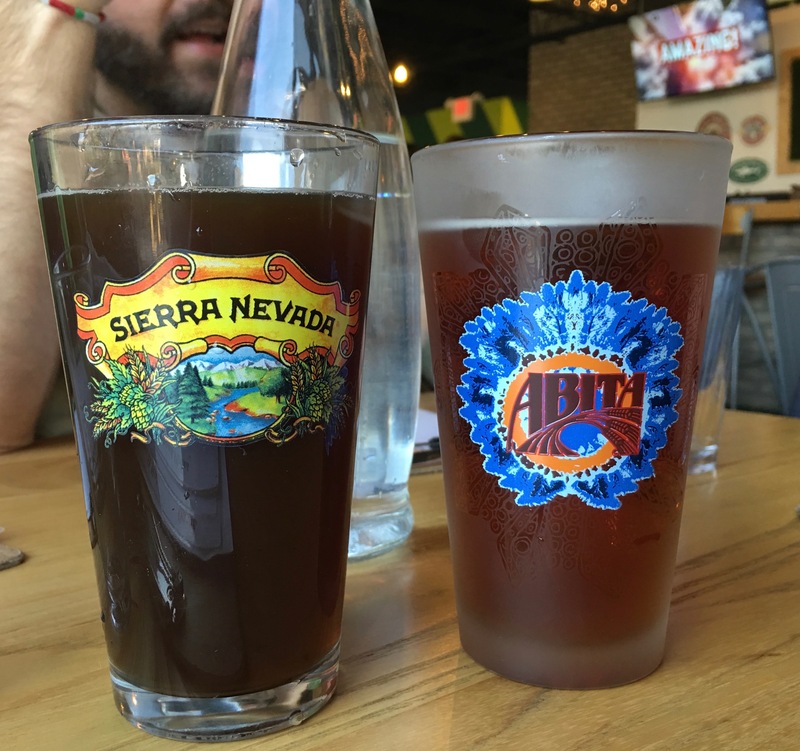 If you like an ice cold beer with your meal, The Gruff presents a strong showing. Both guys definitely enjoyed the Great Lakes Irish Ale for $3.00 a glass. As I said, The Gruff offers hot and cold dishes. The pizzas are wood-fired, American style with a thin and crispy crust. 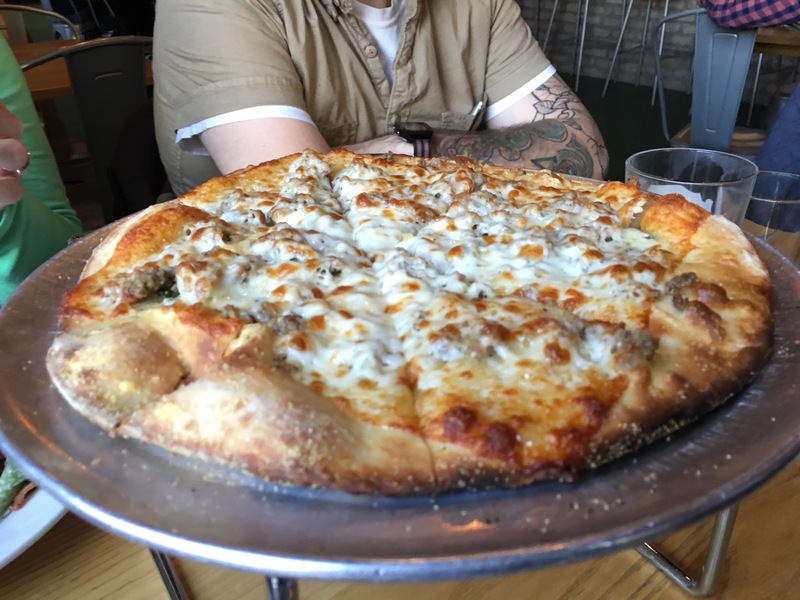 The only one I’ve tried so far is the Truffle Pizza which is topped with truffle oil, fresh basil, mozzarella, parmesan, and that in-house sausage. The truffle oil is light and pairs nicely with the sausage. Whether you like your pizza with oil, white sauce, or traditional red, The Gruff has it covered. In fact, I’d love to try the Smoked Brisket Pizza with barbecue sauce or the Philly Cheesesteak Pizza with cheddar sauce. One reason I will be crossing the bridge into Covington for The Gruff is because I can also eat healthy. 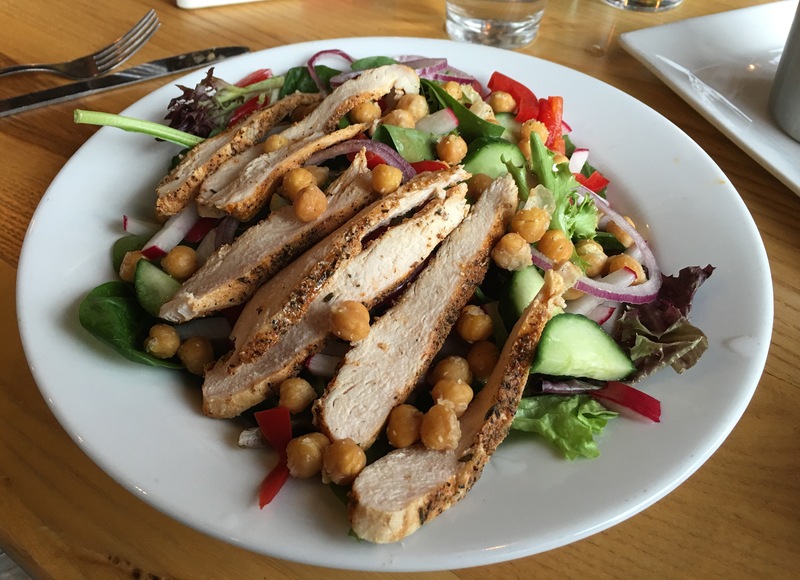 From salads to deli sandwiches, with or without the bun, eating fresh and eating fewer calories is not a problem here. I’m one of those people who likes salad with my dressing; thankfully The Gruff makes a killer yogurt dill and a berry vinaigrette! And while I’m talking vinaigrettes, oh this Turkey Sandwich…I love how this turkey with havarti cheese, fresh basil, and tomato is dressed with a creamy balsamic. 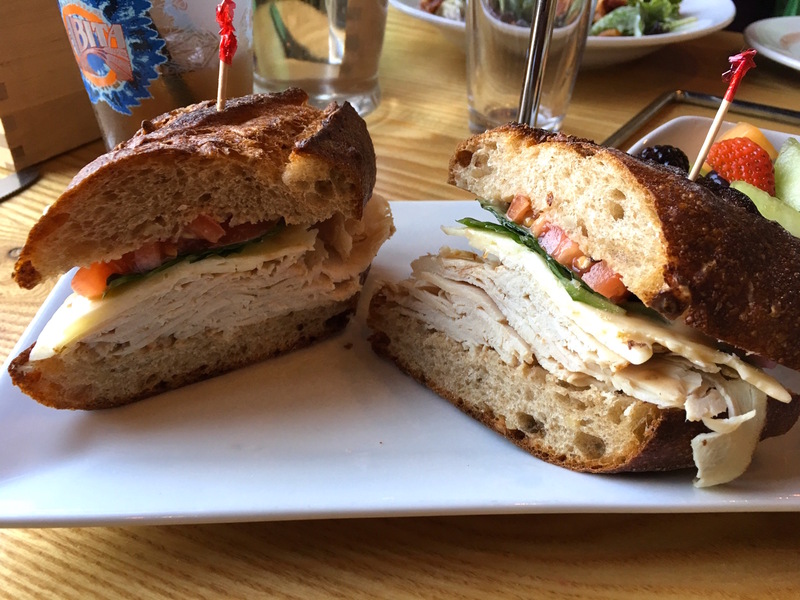 Honestly, I didn’t expect to be so pleased with this order because, well, it’s a turkey sandwich. It’s a tasty, slightly tangy, satisfyingly healthy option, especially if you sub out the waffle fries for fresh fruit. Which I did. Then I proceeded to take one, two, three (maybe more) of my husband’s waffle fries. These waffle fries are thin, light, crispy and served with homemade ketchup. Addictive. 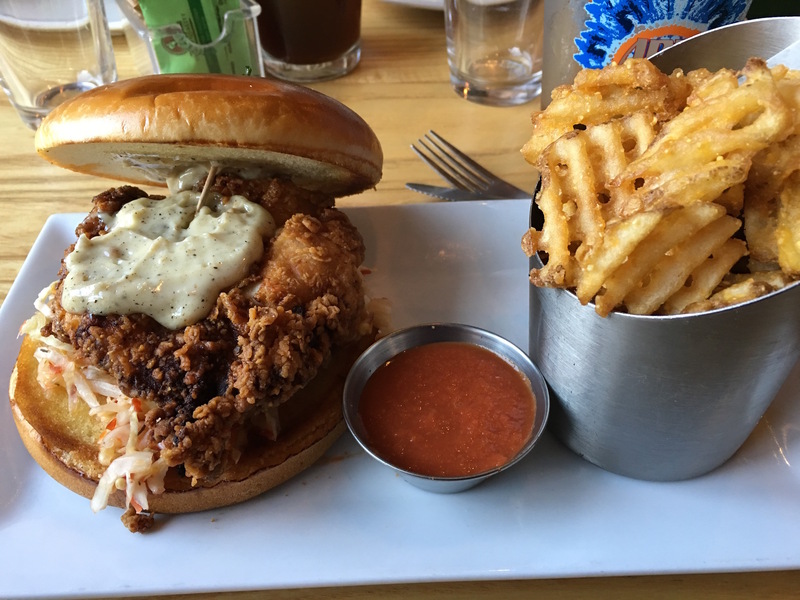 And now, last but definitely not least (because I’ve had dreams about it… I’m not even kidding) is the Fried Chicken Sandwich. 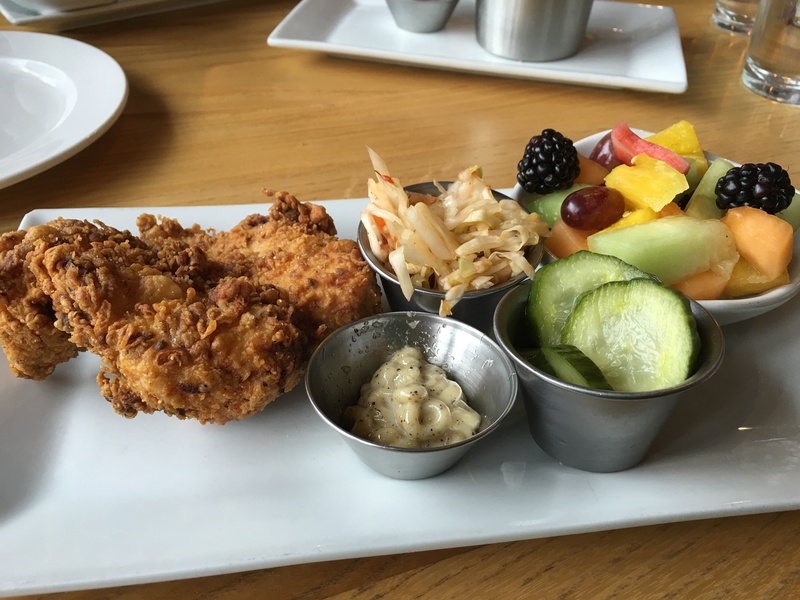 The spicy pickled slaw and black pepper aioli add a perfect combination of tang and heat to this classically fried chicken breast. 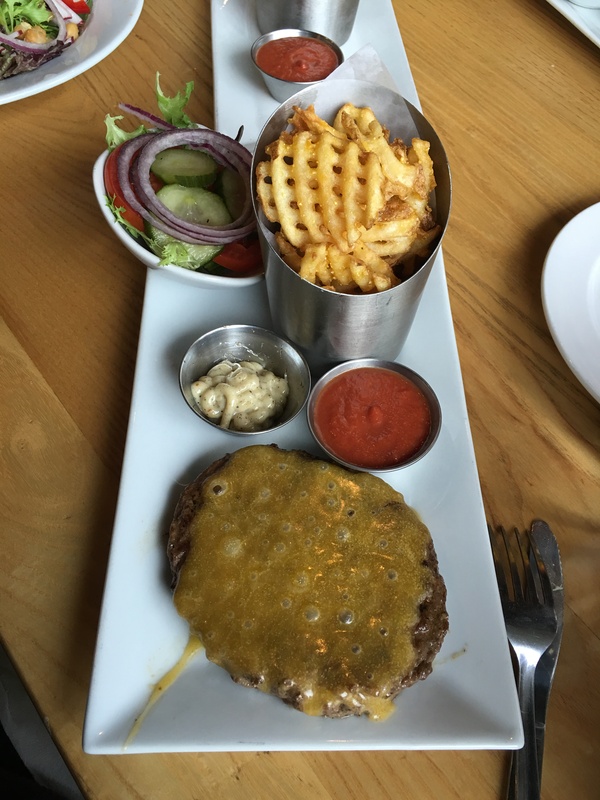 Again I totally infringed on my husband’s order and then, when I went back the next time, ordered it myself without the bun and was equally impressed. Another huge bonus for me is the dill pickles. I could eat pickles for breakfast, lunch, and dinner. These are made in-house and are not overly dilly and the cucumber is still present! Pickle eaters you know what I mean by that. My only complaint? The Gruff should sell these pickles by the jar in their market section. I asked…they don’t. Fried chicken sandwich without the bun. Want to make this grass-fed burger a bit healthier? Skip the bun. 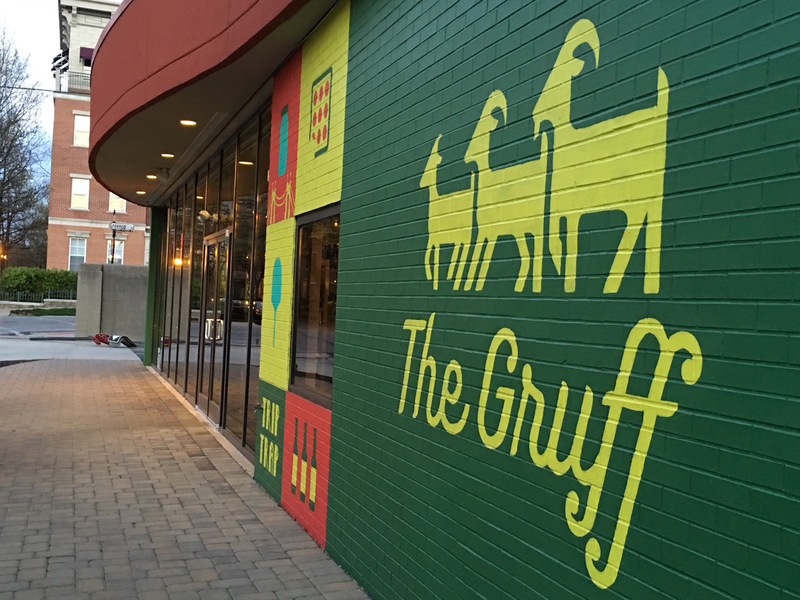 The Gruff is casual and friendly, close to downtown Cincinnati, and troll-free! Want to burn some after dinner calories? Take a walk around historic Covington by the river. You won’t be sorry! As with all favorite finds, taking other friends is mandatory. Crazy cool view from our parking spot! GO THERE (The Gruff)! TRY THAT (Hanky Pankys, Fried Chicken Sandwich, Waffle Fries)! P.S. If you like this post or this blog, please subscribe, share, and invite friends! As always, thanks for sharing experiences with me. All of us at The Gruff love your photos and thanks for the great article! Would love to borrow some of your shots for social media! Hi! So glad you like the review! I look forward to returning. And yes, you can use any of my pictures. Just please tag me (gotheretrythat) or give me photo credit. Thanks!! Thank you, so much. We will definitely credit you. Nice shots! I have tried a few of their pizzas. My favorite of the ones I have tried is the veggie pizza…delish!! I will have to try it! Thanks Jackie!